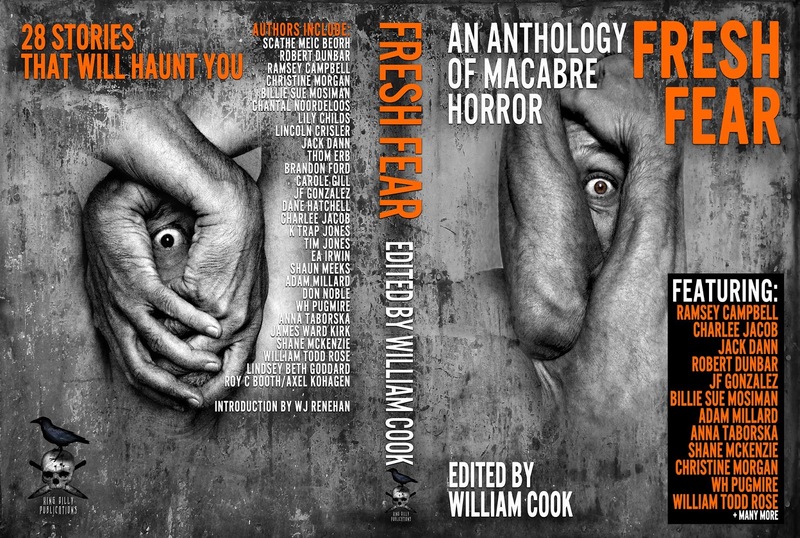 William Cook - Writer: New Release: Fresh Fear: An Anthology of Macabre Horror - available now! New Release: Fresh Fear: An Anthology of Macabre Horror - available now! It is with great pleasure that I can finally announce the release of Fresh Fear: An Anthology of Macabre Horror (2nd edition). This new edition has a new lay-out, formatting and a cover featuring the amazing photography of renowned French photographer, Louis Blanc (http://loublancphotos.com/). Formatting and interior work done by the talented Cyrus Wraith Walker from Cyrusfiction Productions. FRESH FEAR: An Anthology of Macabre Horror* is a collection of horror from some of the genre's best writers of dark fiction. In the introduction, a selection from W.J. Renehan's The Art of Darkness: Meditations on the Effect of Horror Fiction, we are reminded that, "Horror serves to reconnect us with our primal selves, provides temporary respite from the droning conditions of modern life." With over 450 pages, Fresh Fear is packed with stories written by both masters and up-and-coming maestros of the horror genre. Tales steeped in psychological horror sit alongside visions of strange worlds and fantastical landscapes drenched in blood. 'Quiet horror' sits comfortably next to more visceral portrayals of the monsters that lurk deep within the human heart. Sir Arthur Conan Doyle, famously once said, "where there is no imagination there is no horror" - the horror expressed by the authors in Fresh Fear show that imagination is indeed tantamount to excellent story-telling. Prepare yourself for 28 tales of fear-inducing horror from some of today's best authors of dark fiction. *WARNING: R 18+ - Contains graphic scenes of violence and psychological horror. Not suitable for younger readers. Grab your copy now - you will not be disappointed (please share this post).